Our team is excited to share that Landed has been awarded the inaugural Ivory Prize for Housing Affordability in the category of Finance. Landed Co-Founder Alex Lofton accepted the award this morning in Washington, D.C. See below for the press release from Ivory Innovations and to learn more about the organizations who won alongside us. WASHINGTON, D.C. Factory OS and Landed in San Francisco, Home Partners of America in Chicago, and The Alley Flat Initiative in Austin have been selected by Ivory Innovations as winners of the inaugural Ivory Prize for Housing Affordability. The national innovation challenge sheds light on emerging and impactful solutions seeking to address America’s housing affordability challenges. The four winning efforts, which were chosen by an advisory board made up of national housing leaders, were recognized at the National Press Club in Washington, D.C. The advisory board includes Kent Colton, Colton Housing Group; Carol Galante, Terner Center for Housing Innovation; Chris Herbert, Harvard Joint Center for Housing Studies; Laurie Goodman, Urban Institute; and Natalie Gochnour, Kem C. Gardner Policy Institute. Winners received cash prizes up to $50,000, introductions to hundreds of impact investors and publicity from HanleyWood, one of the leading business-to- business media companies in the United States. Details on the winners below. Almost half of the nominations for the Ivory Prize were in the area of Construction and Design (46%), and nine out of ten of those nominations were modular/factory-built approaches – many with the goal of increasing construction productivity and bringing down housing costs. Factory_OS stood out in this group. They are currently executing on 40,000 orders and delivering in professional fashion. Landed is on a mission to help essential professionals (starting with educators) build financial security near the communities they serve. They invest alongside teachers and school staff when they are ready to buy a home in expensive cities. The Landed “shared appreciation” model has broad applicability and could make a significant impact. To date, Landed has helped nearly 150 public school teachers and employees purchase homes valued at $100 million [note from Landed: these numbers are now higher]. In helping teachers, Landed helps teachers put down deep roots in their communities. In high-priced communities, the down payment is a daunting challenge for many people striving to afford workforce housing. The availability of an “equity partner” can be an essential ingredient to achieving homeownership. Home Partners of America (HPA) launched in January 2013 in response to the impact the Great Recession and foreclosure crisis had on millions of homeowners. Home Partners of America has built an innovative financing and operating platform that has enabled thousands of households who currently are not mortgage-qualified to gain access to quality for-sale listed homes in local neighborhoods by participating in their lease-purchase program. Since its launch, HPA has purchased over 12,000 homes in 40 metropolitan markets and 20 states nationwide for a total investment of over $3.5 billion. Over 800 resident households have exercised their “right to purchase” and have successfully purchased their home utilizing the lender of their choice. Beginning in 2019, HPA is now piloting a program to target low-to-moderate income households. This program, known as Choice Lease, supports residents whose household income is at or below 100% area median income (AMI), with an expected average of 80% AMI. Funding for this program is provided through socially motivated capital. The Alley Flat Initiative (TAFI) was recognized based on their innovative efforts to change the policy framework in Austin, Texas to allow for the adoption of Accessory Dwelling Units (ADUs) – often using underutilized alleys to create additional dwelling units by tucking small, single-family homes (ADUs called Alley Flats) on existing lots. In addition, the Alley Flat Initiative has developed a “one-stop shop” for income-qualified homeowners providing personalized support through the development process including green design, financial education and pre-qualification, property management, and construction guidance. The Alley Flat Initiative has also partnered with the City of Austin’s policymakers and department leaders to design development incentive programs to promote income-restricted ADUs and to provide assistance to lower-income owner-developers who are facing displacement due to rapid growth so that these individuals are able to increase their income from the rent generated by the Alley Flats. 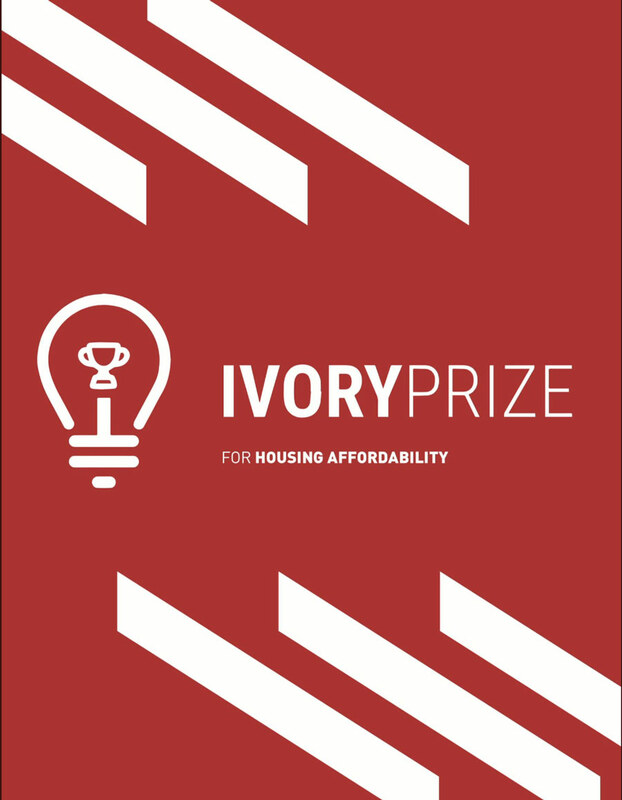 The next annual Ivory Prize for Housing Affordability will be open to applications in October of 2019. 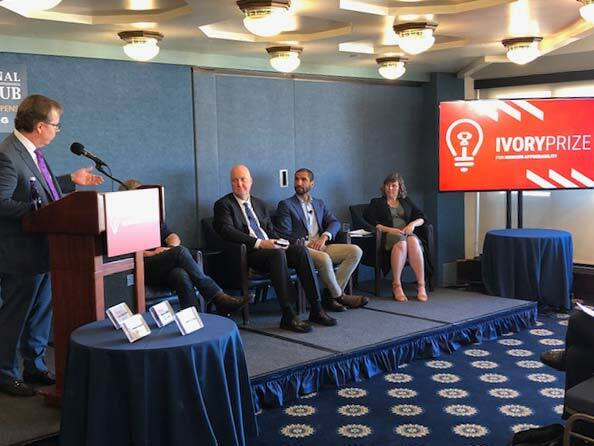 Ivory Innovations, housed at the Sorenson Impact Center at the David Eccles School of Business at the University of Utah, brings together stakeholders of public and private organizations to support solutions to the national housing affordability crisis. Through a diverse set of community-focused initiatives, Ivory Innovations works to empower local leaders to become a part of the national conversation on responsible and sustainable housing development. For more information, see ivory-innovations.org. Browse more press coverage of Landed by clicking the link below, or reach out to us here if you would like to get in touch with our team.